Two weeks ago, I pulled a muscle in my back while playing Cirque Du Soleil in the playroom with my kids. 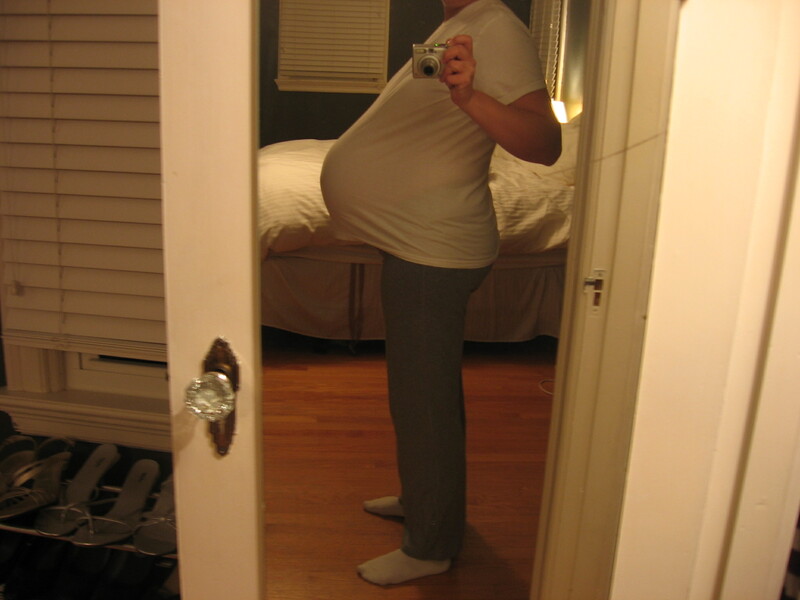 That’s me at eight weeks pregnant with my third, by the way. My stomach muscles took themselves off life support and went into the light when we saw the positive pregnancy test. However, if we’re being honest here, and I think we are whether you like it or not, my back problems actually started well before my first pregnancy when I struggled with infertility. Those who have struggled with infertility know exactly what I’m talking about. It’s a miracle my husband and I aren’t both in traction. After about a year and a half I basically had to resort to hiding in the closet and pouncing on him when he was least expecting it, throwing on noise-cancelling headphones to mute his high pitched screams for help. Wait… how did we get here? Oh yes. I am broken. So we were trying a new move called the Armenian Cruller (we’re back to my kids now), when I heard something that can only be described as someone running over a family of snails with a 10-speed coming from my lower back. Time stood still. I tasted blood. Had a string of impure thoughts. Heard the angels sing. Country music finally made sense. Eyes bulging, lips curled back around my teeth, I strategized how I might move into the standing position from where I was, which sort of looked like a dead horse who suddenly died on his back. I decided to make a move. Pain shot from my back to my leg when I blinked. After about five minutes I employed the pull it off quick like a band aid technique, held my breath and flipped from my back to my stomach. As I laid face down, I blacked out for a moment when the carnal smell of our playroom carpet infiltrated my nostrils. I bit my lip, trying to keep it together so as not to frighten the children. They seemed unfazed as they began biting each other jockeying for who got the next turn on the human trapeze. Now, I realize there is no ideal time in your life to pull a muscle in your back so bad that when you try to walk people mistake you for a very squishy coffee table. But I feel the need to remind you that I am more pitiful than most. Even with a good back random strangers usually offer me help when I’m out in public with my kids. Help and their therapist’s phone number. “Just don’t lift anything until I get home,” Nick said when I called him, just as my 2-year-old yelled from the kitchen that she had peed her pants and was standing in a puddle of urine. Luckily, the back injury happened the day before Nick was scheduled to take a week-long vacation from work. Unluckily, the back injury happened two days before our family was scheduled to take a three-day vacation to an amusement park with roller coasters, water slides and a four hour car ride. Which was bad because every time I sat down I felt like I was going to poop out some vertebrae. We decided to go anyway; I had a plan. Did you know in the state of Illinois it’s illegal to drive with someone strapped to the top of your vehicle, even if they pretend like they’re dead? It’s also illegal to try to bribe a policeman, or attempt to outrun one. I sucked it up and visited the chiropractor. At first having a large man angrily mash his fist into the most painful and sensitive spot in my body made me feel especially stabby, but then the pain began to subside and, magically, I could walk again and I regained feeling in my fingertips. Which I thought would be awesome, but now I just feel guilty about laying around all day waiting for my husband to come home and clean up the pee. I’m petrified of chiropractors ever since an unfortunate incident in the 6th grade where I jammed my sternum (don’t ask). You’re a braver woman than I. And speaking of brave, I can’t believe you attempted a water slide again. Have you forgotten the trauma?! “Armenian Cruller (we’re back to my kids now)” killed me.